If you know me, you would be aware of my love for Indian traditional wears especially churidar suits and kurtas. Traditional Indian wear is all about looking gorgeous. A girl looks beautiful in western wear but she looks even more fabulous in Indian outfits. You can look stylish, effortlessly. Indian dresses are so comfortable and you feel relaxed in them for the entire day. You don't even need much makeup or accessories to look beautiful. 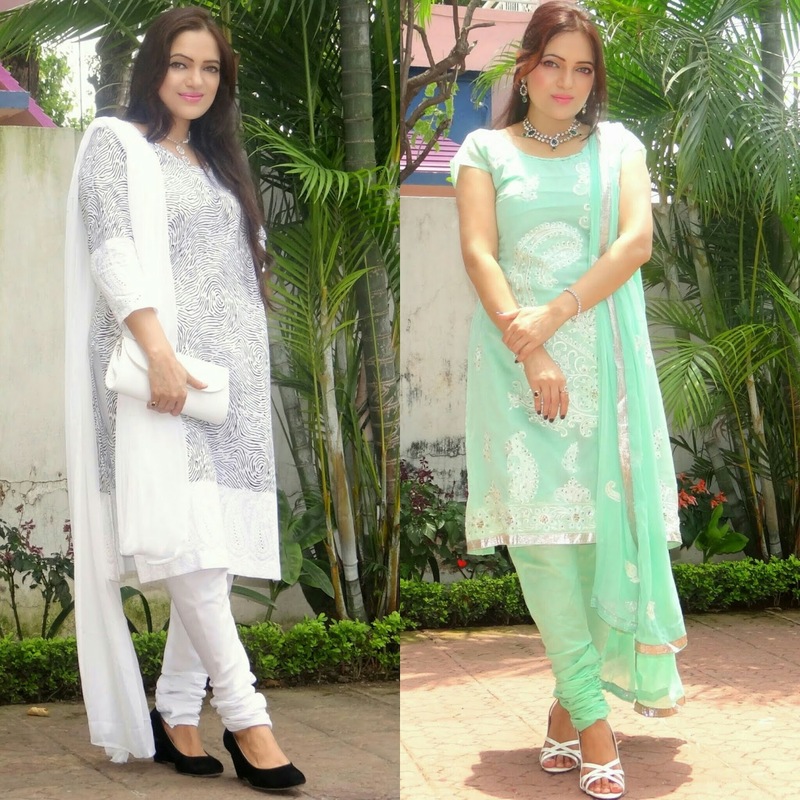 Nowadays different style kurtis are so much popular among women and girls. There are countless shapes and designs in kurtis. They are classy but trendy and can be worn by every one no matter what body shape one has. You can easily modify and customize kurtis for different looks. It has become the most favourite style statement of girls and women to look stylish. The best part is that these are neither extremely stylish but so comfortable at the same time so that every woman rather a college student, working women or housewives admire them. You can get so many varieties from ethnic to indo-western style with different patterns,cut and designs like Anarkali, long straight kurti, A-Line kurti, trail cut kurti, indo western style kurti, gown style Kurti, Pakistani Kurti and shirt kurti etc. There lot of more style and you select these according to you choice. Personally I adore simple long straight kurti, indo western style and Pakistani kurtis for daily wear and Anarkali, A-Line and gown style kurti for special occasions. 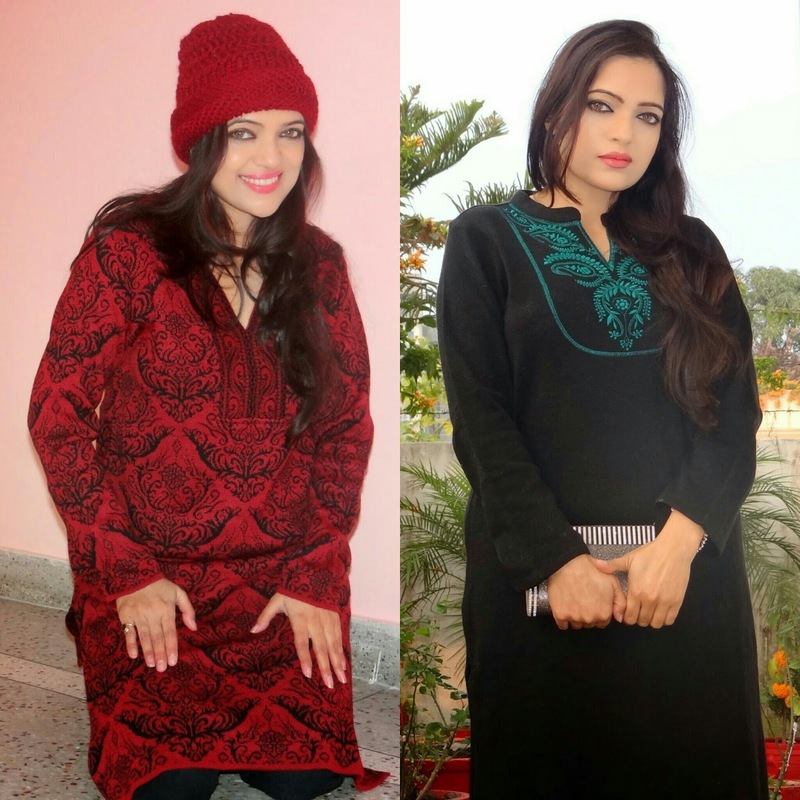 These kurtis can be worn in different ways. You can pair these with either slim churidar, salwar, jeans or the latest trend- pallazos. You can wear some frock style kurti as a dress alone. The chudidar or salwar should not be made up of body-hugging fabric because it can become uncomfortable. You should opt for fabrics are light or stretchable. You don't need much accessories and jewelries with these Indian wears. A college going girl can wear some light jewelry like small earrings, a necklace and a bangle or bracelet if she wants but a simple pair of earrings can go with a churidar suit, kurti and jeans etc. The same thing is required for women, they can wear a simple and light set of jewelry instead of heavy one. A light weight gold or diamond set give a gorgeous look. Artificial jewelries are so much in trends and give a different effect to this Indian attire. If you are wearing Anarkali suit for any special occasion, a pair of traditional chandelier earrings will be enough to give it a beautiful party-like effect. No need to go for other heavyweight accessories. The right footwear also adds to dressing up. You can either wear chic high heels, that is, stilettos or simple sandals or flats, that is bellies or sandals. Everything goes well with Indian dresses. A simple sleeper like footwear goes well along daily wear suit. Hairstyle is an important part of Indian attire. You have got to have a good hair-do to go along with the dress. For instance, long open hair look awesome on all kinds of style kurties. You can keep the hair in straight, loose or tight curls. Different style braids and buns also look beautiful with these dresses. For a simpler look, you can keep the hair in low or high pony tail. The important thing is that the hairstyle must look good on your face and match with the dress you are wearing. 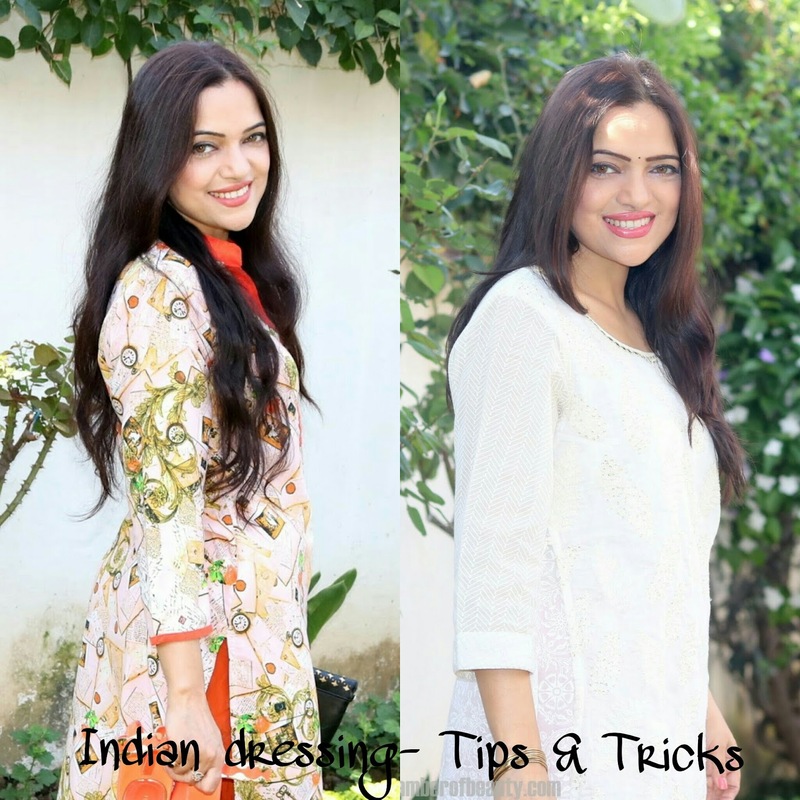 Soft and natural makeup is perfect on all Indian attires. You don't need much makeup with these. For functions and festivals, you can keep your makeup heavy especially your eye makeup. With deep shade lipsticks, you should your eye makeup natural. These Indian dresses are beautiful and comfy at the same time.They are all about simplicity and yet make a person look gorgeous and beautiful. They can be worn anytime and anywhere without hesitation.